Mother of Providence School students perform the Living Stations at St. John Chrysostom Church, Wallingford. 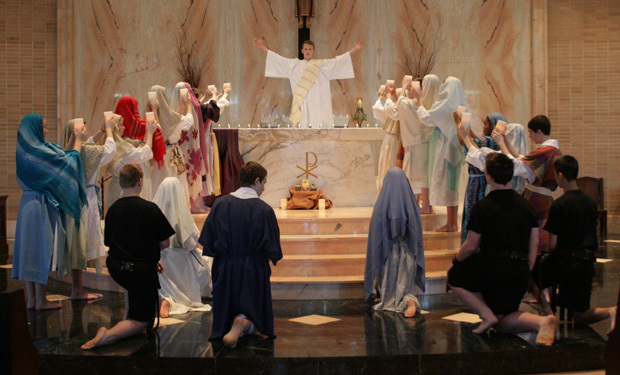 Students of Mother of Providence Regional Catholic School, Wallingford, will perform the “Living Stations” Tuesday, March 22 at 7 p.m. in St. John Chrysostom Church, 617 South Providence Road, Wallingford, Delaware County. The public is invited to this live re-enactment of the passion of Christ, performed by Mother of Providence’s seventh and eighth grade students.